Custom styling gives you complete freedom to change the look and feel of presentations. 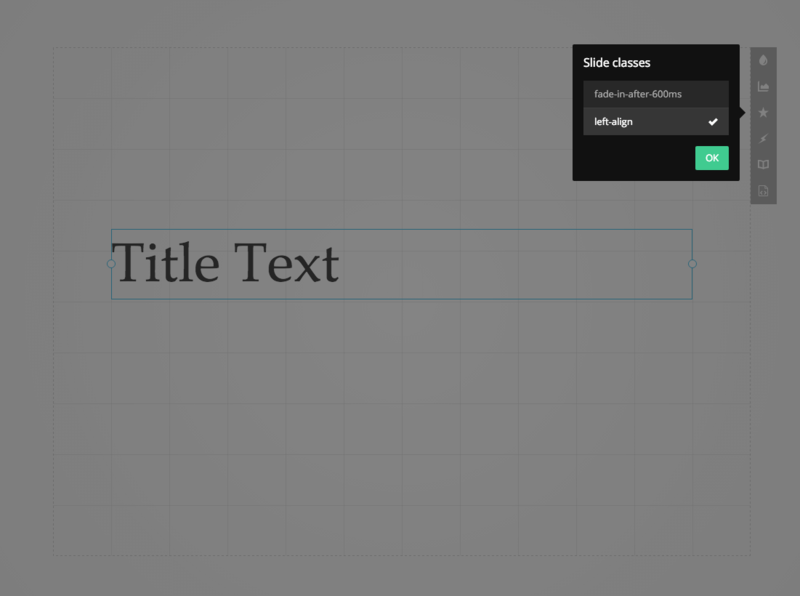 It can be used to redesign the presentation controls, load a custom font, change slide transitions and much more. Styles are written in LESS, meaning you have the option of using nesting, variables and other helpful features. All of your selectors will be automatically prefixed with .reveal when saved to avoid spillover. 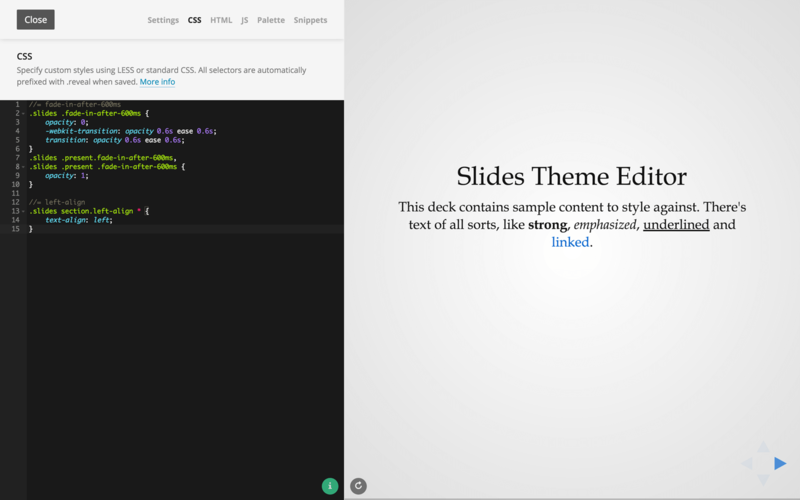 Adding styles to a theme means they will only be applied when that theme is used. This option is available in the header when you are editing a theme. Styles are previewed in real-time on the right so that you immediately know what you're getting. 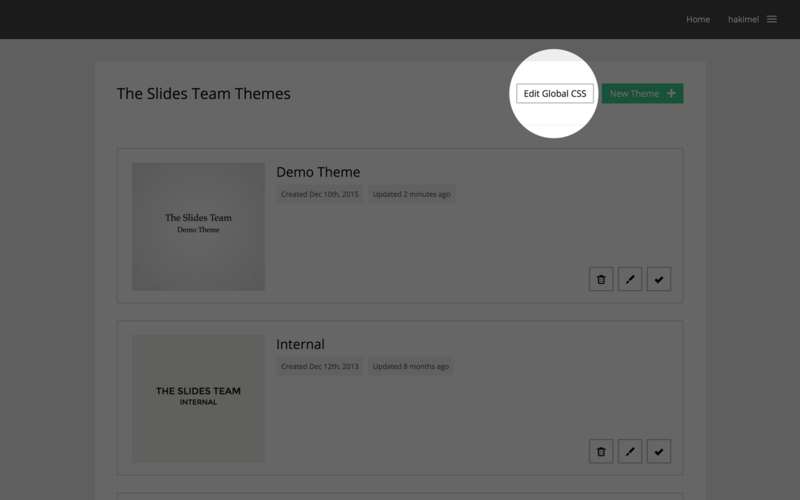 Global styles are applied to ALL presentations in a team, regardless of what theme they are using. Look for this option in the header of the themes page.